The Band’s Visit, the new musical that has been showered with awards since its extended off-Broadway run with the Atlantic Theater Company, will play Broadway’s Barrymore Theatre this fall; tickets are now on sale. Previews will begin on October 7 with an opening night scheduled for November 9. With a book by Itamar Moses (The Fortress of Solitude, Completeness) and a score by three-time Tony nominee David Yazbek (The Full Monty, Dirty Rotten Scoundrels), the musical is based on Eran Kolirin’s 2007 film of the same name. David Cromer, who helmed the debut production, will repeat his duties as director for the Broadway run. Andrea Grody will serve as musical director. 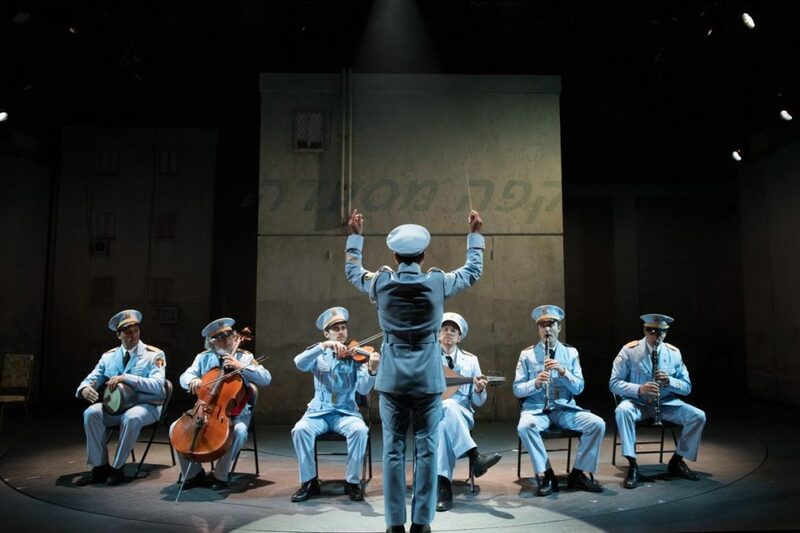 In The Band’s Visit, an Egyptian Police Band arrives in Israel to play a concert. After a mix-up at the border, they are sent to a remote village in the middle of the desert. With no bus until morning and no hotel in sight, these unlikely travelers are taken in by the locals. Under the spell of the desert sky, their lives become intertwined in the most unexpected ways. The off-Broadway cast was led by Tony Shalhoub, Katrina Lenk and John Cariani. The company also featured George Abud, Bill Army, Erik Liberman, Andrew Polk, Rachel Prather, Jonathan Raviv, Sharone Sayegh, Kristen Sieh and Alok Tewari. Casting for the Broadway production will be announced at a later date. The Band's Visit won top honors at the 2017 Lucille Lortel Awards, Outer Critics Circle Awards, New York Drama Critics' Circle Awards and Obie Awards.